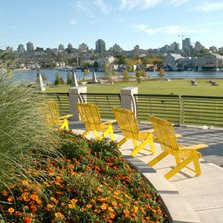 A client sent me this article from the Vancouver Courier: 'Landscape architects shape our most 'livable' city' - which outlines the role of landscape architecture in the shaping of our urban areas. 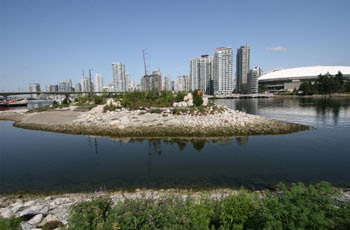 The article focuses on the work of Margot Long, a principal at PWL Partnership in Vancouver - and her most recent award-winning work in the region, including the Southeast False Creek area (with some coverage coming soon). 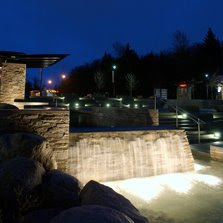 The article does make the somewhat obvious assertion: "...just as architects have shaped our surroundings, so have landscape architects who design our parks, plazas and many streetscapes that contribute to Vancouver's label as the world's most livable city. Yet you probably don't know their names." "We're more of a passive, quiet crowd," said Long, the daughter of an architect. "It's very interesting. You talk to architects and you talk to landscape architects and I think it's like talking to night and day. There are some more aggressive landscape architects, more sort of self-promoting architects, but, for the most part, we're kind of behind the scenes, fly under the radar screen, just get things done and have an impact that way." Yep, sitting around, under the radar, behind the scenes... not really making a big deal out of it. And we wonder why architects and other trades - and the public, don't take us seriously. It's an interesting way to characterize a profession - even in the terminology to explain what we do: "Landscape architects begin their work at the edges of buildings and proceed out from there by forming the land for human intervention, as Long likes to put it." Kind of a modernist architects' take on our role. Continuing on, a 'historical' peek at the profession... "Landscape architects have long shaped cities. "Frederick Law Olmsted laid out Central Park, a lot of Shaughnessy was laid out by a landscape architect, in Montreal the Mont-Royal neighbourhood was laid out by a landscape architect," Long said. Their role has evolved. In the 1930s and '40s, the focus was on planning, which later shifted to design. When the environmental movement started in the 1960s and '70s, the first environmental consultants were born out of science programs. 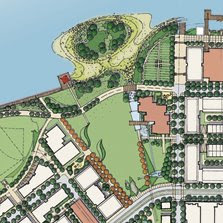 Now landscape architecture encompasses planning, design and the environment." The payoff comes at the end, with some redemption that Susan Szensay from Metropolis should hear... "Nowadays the schools are more focused on sustainability, which is interesting because we've been studying that for a long time as landscape architects, and there are things that we did 10 or 15 years ago that are being done normally right now in terms of creating wetlands and bioswells for collecting storm water in a different way," said Long. "A lot of this stuff we were doing before there was even a word called 'sustainability.'" Hahaha. I totally missed that one... perhaps some Canadian stormwater management strategy? I'd say we can chalk most of the article up to 'Lost in Translation'.